Nevsun Resources Ltd. [NSU-TSX; NYSE AMERICAN], the target of a $1.4 billion takeover bid from Lundin Mining Corp. [LUN-TSX; LUMI-Sweden], has filed a NI 43-101-compliant technical report for its flagship Timok gold-copper project in Serbia. The report contains details of a prefeasibility study for Timok’s Upper Zone, and a resource estimate for the Lower Zone. Nevsun is a leading mid-tier base metals company. It operates Bisha, a high grade open pit copper-zinc mine in Eritrea and is developing the Timok copper-gold project in Serbia. Timok is located in the historic Bor mining complex, approximately 250 kilometres southeast of Belgrade and benefits from close proximity to existing mining infrastructure. Bor is an active mining town, with a regional administrative centre possessing the facilities, services and experienced work force required for advanced mineral exploration projects. Timok consists of the Cukaru Peki Upper Zone and Lower Zone. Nevsun owns 100% of the Cukaru Peki Upper Zone. The Lower Zone is a joint venture with Freeport McMoran Corp [NYSE: FCX]. 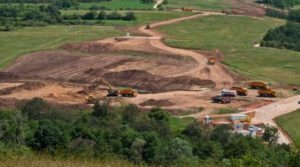 The project is located in the central zone of the Timok Magmatic Complex (TMC), in the Serban section of the East European Carpathian-Balkan Arc. TMC features high concentrations of copper enrichment. The Timok Upper Zone pre-feasibility study forsees a 10-year mine life, producing over 1.7 billion pounds of payable copper. Other highlights include sub-level cave mining with a 3.25 million tonnes per annum conventional plant producing copper concentrate as well as US$574 million in pre-production capital with 80% IRR and under one year payback. The after-tax net asset value is pegged at $1.8 billion at a flat $3.15 per pound copper and 8% discount rate. An initial reserve for the Upper Zone was released in March, 2018. The probable reserve for the Upper Zone is estimated at 27 million tonnes at an average grade of 3.3% copper, and 2.1 g/t gold, containing 0.89 million tonnes of copper and 1.8 million ounces of gold. Ore mined from the Upper Zone would be hauled to surface using a decline and conveyor and milled in a conventional flotation mill to produce a single sulphide copper-gold concentrate which would be sold to smelters on normal terms. The Lower Zone is currently owned 60.4% by Nevusn and 39.6% by Freeport-McMoran. However, Nevsun’s project interest will decline to 46% once a feasibility is completed for the Lower Zone. In a press release on August 7, 2018, Nevsun said it filed a technical report for the Timok Lower Zone, which hosts an inferred mineral resource of approximately 1.7 billion tonnes, grading 0.86% copper and 0.18 g/t gold, containing 31.5 billion pounds of copper and 9.6 million ounces of gold at a cut-off grade of 0.38% copper equivalent. The Lower Zone resource estimate is based on the data from a recently completed US$20 million drill program. Meanwhile, Nevsun has acknowledged that it has received an unsolicited offer from Lundin Mining for all the outstanding shares of the company. “Nevsun shareholders are advised to take no action until the board of directors has made a formal recommendation to shareholders,’’ the company said in a press release. Nevsun shares were unchanged at $4.89 on Wednesday. The stock trades in a 52-week range of $2.49 and $4.95.